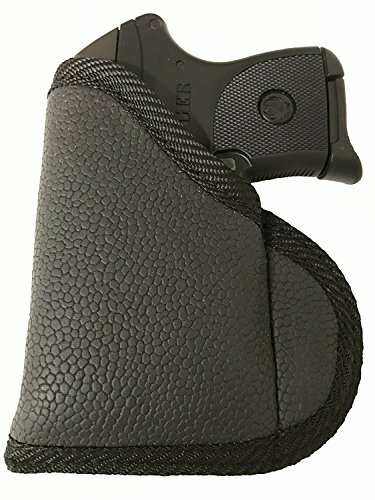 Looking for a gun holster that is simple, affordable and comfortable? NO clips, loops or snaps to break? Look no further!! Our holster is made of a state of the art gripping, almost feels sticky, material that uses the waistband or pocket friction to maintain the holster while you draw. Don't take our word for it, buy one and see for yourself. Money back guarantee. Simply put this holster in your waistband or pocket and be prepared to be amazed! Gun holster can be used either left or right hand draw. When your gun is holstered your trigger is fully covered and full grip exposed. Closed end. Padded well, yet thin. Excellent concealment holster. If you have any questions about this product by Pro-Tech Gripper, contact us by completing and submitting the form below. If you are looking for a specif part number, please include it with your message.